We are awaiting John`s first book impatiently…. I still remember the first day we met. We were too shy to say much at all. Because now we’re having a ball! An adage that I believe to be true. Genuine friendship is something that I cherish. I am so lucky to have met you. Our bond is extremely special. It is unique in its own way. I love you more and more each day. We’ve been through so much together. That you’ve shown me how much you cared. Especially the bond that you and I possess. I love your fun-filled personality. Somehow you never fail to impress. The world could use more people like you. It would certainly be a better place. I love everything about you. You are someone I could never replace. When my spirits need a little lift. I cannot thank you enough for that. You are truly an extraordinary gift. You are everything to me and more. I could never express that enough. Without you it would be even more tough. Everything will always be okay. You know I will love you until the end. You will always (and forever) be my best friend. I’ll always be by your side. To let what we have slide. I can always count on you; now it’s my turn to lend. Don’t let this turn our friendship gray. I love you, and that’s all I have to say. of me or is it solidarity? Please, feel free to visit the very charming blog of the artist Dad4Gracie that provides you with funny insights, heartwarming stories and universal wisdoms of his lively chicken family. The beautifully ilustrated finding below refers to the capital campaign in favor of the St. John`s church in Portsmouth, which is well-known for supporting homeless and other vulnerable members of their local community. The capital campain shall provide the church with a new roof, repair water damage to the stonework, and replace the knob and tube wiring that could cause a serious electrical fire. …by making a small donation. You will find a link to the charity webiste on the blog “My Life with Gracie”….simply follow the link at the end of this post. No, you won`t become visible, you are possibly no member of this community, you might have another religion, you are financially challenged at the time being (like I am due to the sudden death of my car), you wont get any direct payback or feedback …and nevertheless you´re compassionate and willing to be of help without any vanity & shelfishness. That`s true (inner) beauty which might rise you self-respect and -self esteem. Levitate your spirit…and prove that someone who is in need, will be helped — even by strangers at remote places. I am not religious frankly speaking but I believe that the universe wont forget anything…. PS: It would be also very kind of you to reblogg and forward this post or even better Dad4Gracies original post to increase the reach….Thx. for comfort – without shame. Seems to be so easy…. um Trost - ohne Scham. Once a horse has left the island, it is not allowed to return anymore. to protect the domestic horse population. Bad hair day? Never heard of it. 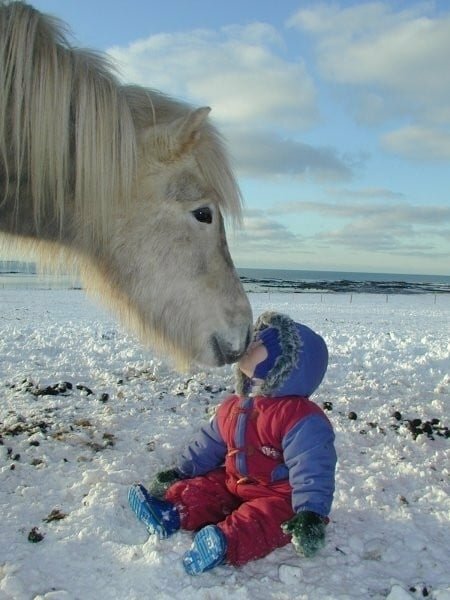 Iceland Ponies…Time for a Declaration of Love. They are real buddies and free spirits, who astonishingly seek and seem to enjoy the company of humans. 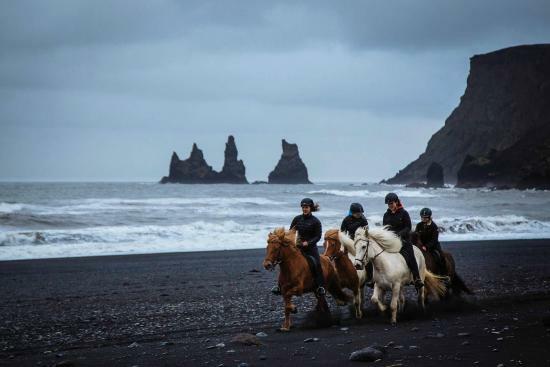 Loyal, friendly, affectionate, curious, smart, extraordinary relaxed and even-tempered, super-cute, strong personalities, cooperative and resilient….these are the characteristics which pop up immediately if people think of Islandic horses. 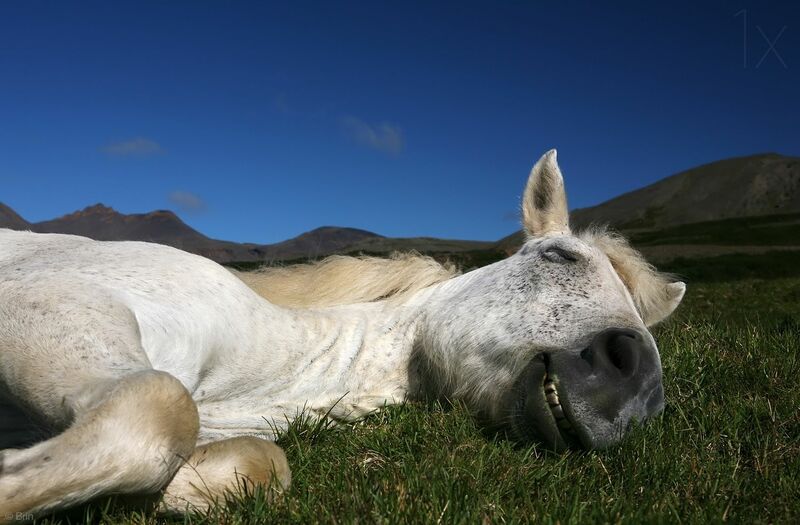 To put it in a nutshell – Islandic Horses are truely beautiful creatures! Only Islandic horses are capable to perform a 5th pace, called “TÖLT”. Due to the fact that always one foot is on ground, this pace results in a stable forward movement that is very comfortable for the Human. How are you, little one? When she says margarita she means daiquiri. When she says quixotic she means mercurial. And when she says, “I’ll never speak to you again,"
He’s supposed to know that. while he is stuck in traffic on the Long Island Expressway. where she remains asleep and very warm. When she says tomorrow she means in three or four weeks. When she says, “We’re talking about me now,"
and there is nothing alien in the universe. Ripe apples fall about them. What else can they do but eat? When he says, “Ours is a transitional era,"
dry as the martini he is sipping. Ok, I’m sorry, you dickhead. “and you can quote me on that,"
which sounds great in an English accent. airport in a foreign country with a jeep. and there’s nothing in the refrigerator. When a woman loves a man, she wants to stay awake. at nightfall because she didn’t want the day to end. as midnight to the moon is sleep to the beloved. A thousand fireflies wink at him. of the orchestra warming up. The stars dangle down like earrings the shape of grapes.